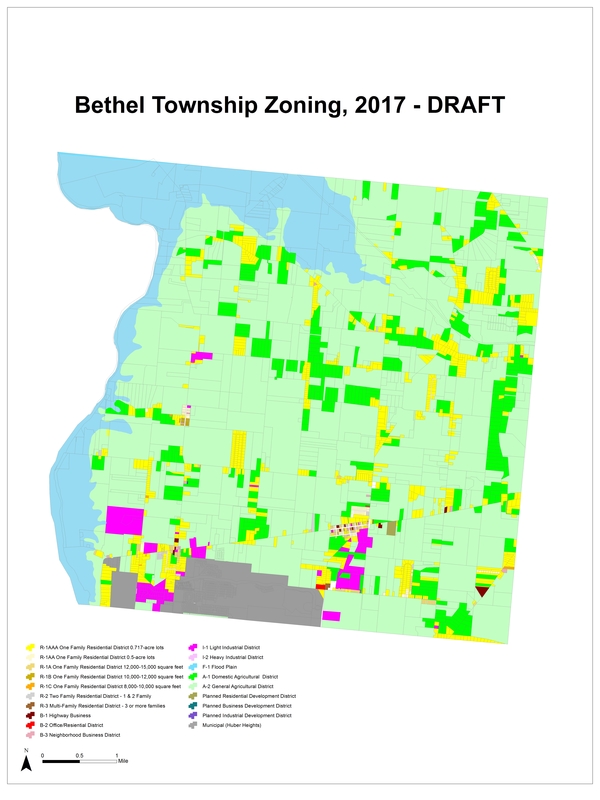 In a growing community such as Bethel Township, planning and zoning are among the most important government functions. The staff works with residents, developers and builders to ensure quality building and development through plan reviews, zoning code enforcement and property inspections. Zoning helps to maintain Bethel Township as an attractive community. Through zoning regulations or the "zoning code", specific standards have been established for many common property improvements. These standards set limits on building heights and sizes, as well as setbacks from adjoining streets and neighboring property lines. Regulations also speak to the size and number of detached structures on a property, including garages and storage sheds. For more information on zoning in Bethel Township, please call 845-8472.